On March 21 this year, countries around the globe will celebrated International Day of Forests. Entering its fourth year, the purpose of International Day of Forests is to celebrate and raise awareness for the importance of our forests, and the theme of this year’s event is The Forest: Nature’s Powerhouse. The power of the woods is something we at Alliance Tire Group are acutely aware of; as wood-based fuels continue to become more efficient and powerful, they are increasingly seen as one of the next important sustainable energy sources. Below is a look at some of the fuels changing the way we view wood, and how our Primex forestry tires can help keep wood fuel sustainable. Over the last few years, Europe’s changing energy policies have driven a demand in wood pellets. A boon for loggers in the United States, the world’s largest wood pellet-producing country, the shift toward wood pellets represents one of the many ways that the use of wood is being rethought into a more productive fuel source. Unlike cordwood, wood pellets are made from what many would consider the scraps of a normal logging operation, as everything from sawdust to the tree’s top are used in their manufacturing—stuff that would have formerly ended up in a slash pile is now being converted into fuel. It’s not only the use of wood pellets in Europe’s massive boilers where wood is being used as an sustainable alternative energy source. This past November, an Alaskan Airlines plane flew from Seattle, Washington, to Washington, D.C., powered by a blend of traditional jet fuel and a wood biofuel made from leftover wood from timber harvests in the Pacific Northwest. The company responsible for creating the wood fuel, Gevo, said that the wood used in its process was limbs, stumps, and branches left over from timber harvests in both managed and private lands—wood that, like wood pellet material, would normally be burned in slash piles. Air travel is notoriously unsustainable, but airlines are becoming more open to using biofuels, and while their use as an everyday fuel isn’t economical yet, the Alaskan Airlines flight showed the industry what is possible. Of course, these are just a few of the ways that wood is changing the way we power our world, especially as science, technology, and business push to lower our environmental impact which is great news for foresters and loggers. As demand for wood continues to grow, there will be an increased need to produce and harvest valuable timber, along with a need for people to manage the forests, harvest timber, and convert the wood into pellets and biofuel. Furthermore, according to a study done by the U.S. Forest Service, when demand for wood increases and prices rise, an expansion of U.S. forest land will follow. The creation of these new wood-based fuels is beneficial in many ways: they revitalize our rural communities, foster economic growth, reduce greenhouse gas emissions, and help cut our dependence on foreign oil—while also increasing our competitiveness in international markets. However, for wood to stay at the forefront of renewable energy it must remain sustainable, and this is where our Primex forestry tires can help. 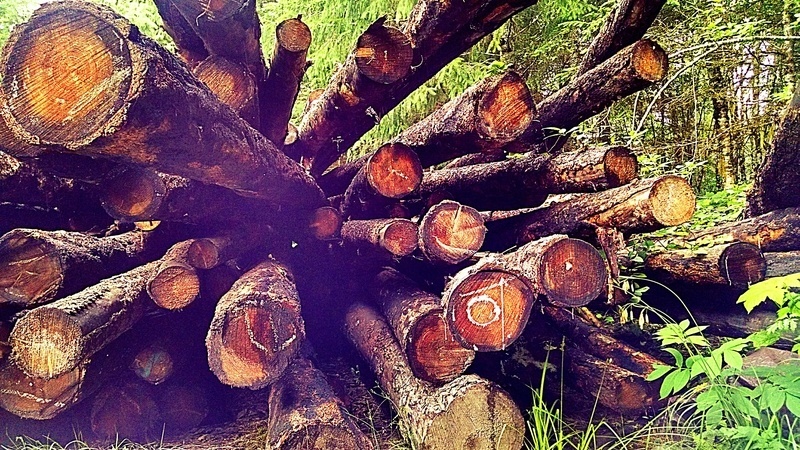 Harvesting timber plays an important role in the creation of wood fuels, but for the long-term health of the forest, minimizing our impact on the forest during harvest is of extreme importance. Between the increasing size and power of today’s logging equipment and the weight of timber, harvesting wood can have an enormous impact on the forest for years to come; but, in order to maximize the yields of our forests, it's imperative that we minimize our damage to forest’s delicate soil. Tires like our Log Stomper Super Flotation tire work great whether you're in the dense Douglas Fir forests of the Pacific Northwest, the South’s bottomland hardwood forests, or the pines of the Northeast. The Log Stomper Super Flotation tire is built to resist cuts and chips while its reinforced sidewalls keep your busy logging operation on the move, harvesting timber and powering the development of new wood fuels. At the same time, our Primex Super Flotation tires help minimize the damage done to the forest, enabling faster regeneration, and ultimately letting you harvest again sooner. The use of biofuels is on the rise, and as the technology gets better and the price declines, their use will become more mainstream…and Primex forestry tires can help your logging company keep up with the demand. Contact your Primex dealer today to find out how.